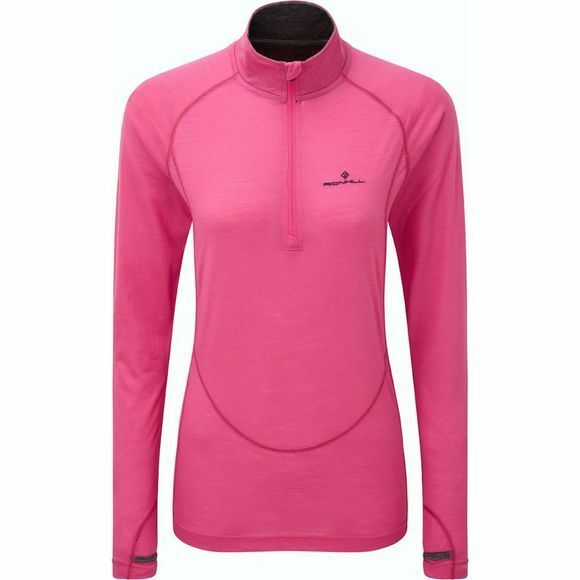 The Women's Merino 200 1/2 Zip from Ronhill will keep you warm in cold conditions and keep you cool in hot conditions thanks to the fibre blend of natural Merino wool and synthetic polyester in its Regulite fabric. A Cut and Sew construction with flatlock seams means it is comfortabe against your skin with less chance of chafing. Shaped cuffs with thumb loops ensure maximum arm protection.